After all the comfort food that I have cooked over the Christmas it was about time to come up with something light. I had some vegies left over from our traditional Friday night thin crust veggie pizza and a chicken breast so I had lot of choices as to how to prepare it. In the end I settled on sort of sauté with wide egg noodles. I had parts of white onion, zucchini, red and green peppers, cremini mushrooms and Roma tomatoes, excellent base for a sauce. At the end just before plating I stirred in a bit of balsamic vinegar and large pinch of dried basil (from my garden). Freshly grated Parmigiano and sprinkle of chopped parsley on top finished the plate. 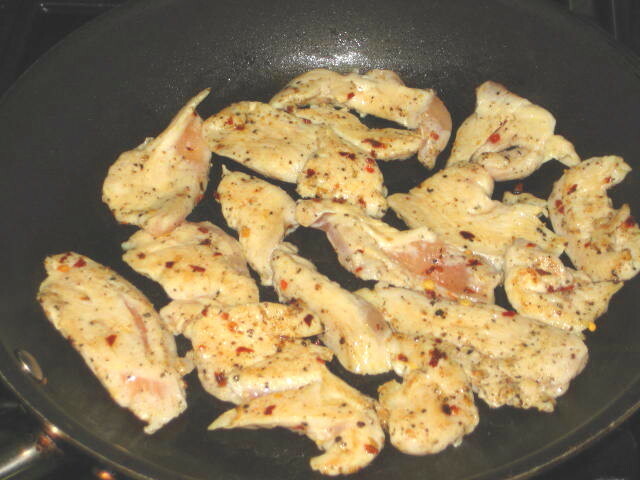 Spread the chicken breast strips in hot non-stick frying pan and cook for about 3 minutes on each side. Remove to preheated bowl or plate and place into 250 °F toaster oven. Cook noodles, toss in butter and keep warm. In same frying pan add 1 Tbs. 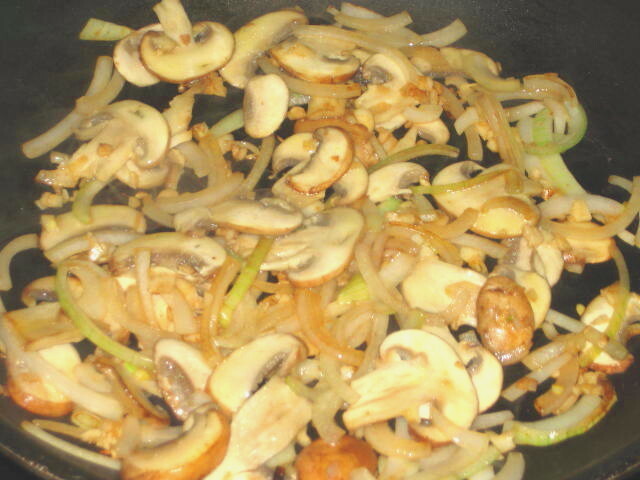 of olive oil and sauté mushrooms and onions until lightly colored, about 5 minutes. 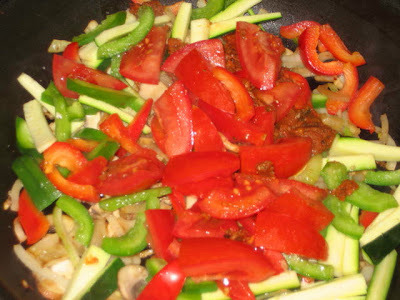 Add julienned zucchini, peppers and tomatoes, stir and cook for 5 minutes, covered. Remove cover and stir in Marsala. Cook uncovered until the sauce thickens. Stir in balsamic vinegar and basil. 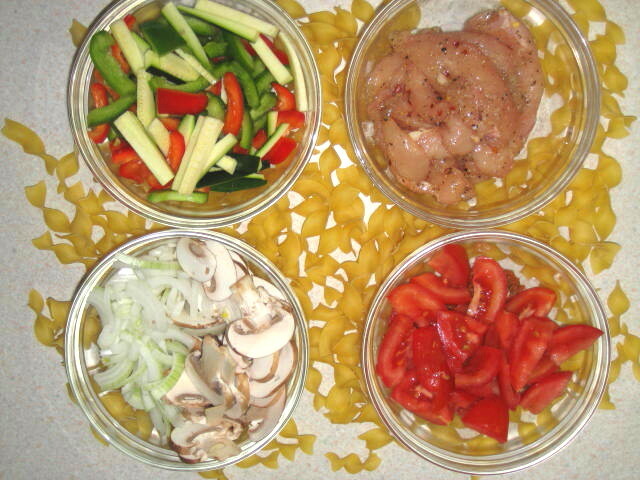 Mix in previously cooked noodles and toss so that all the noodles are coated with sauce. 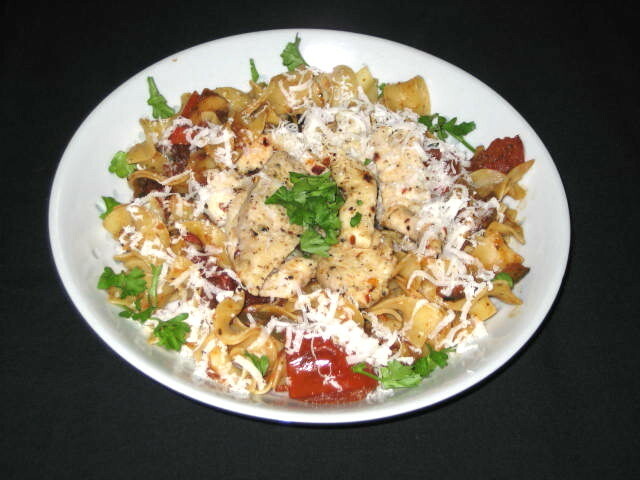 Serve on preheated plates or shallow bowls, place chicken strips on top and sprinkle with cheese and chopped parsley.